For payments Paypal uses currency specified by the seller. By default, it converts the amount to be paid to the currency your card uses by PayPal’s exchange rate and fee. 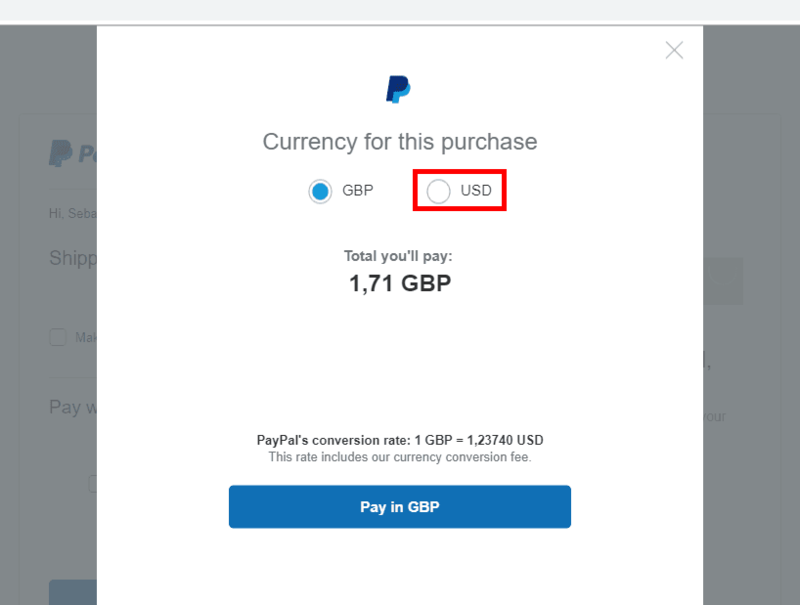 This can be a problem since PayPal does not always have a good rates, especially with cards like Revolut. 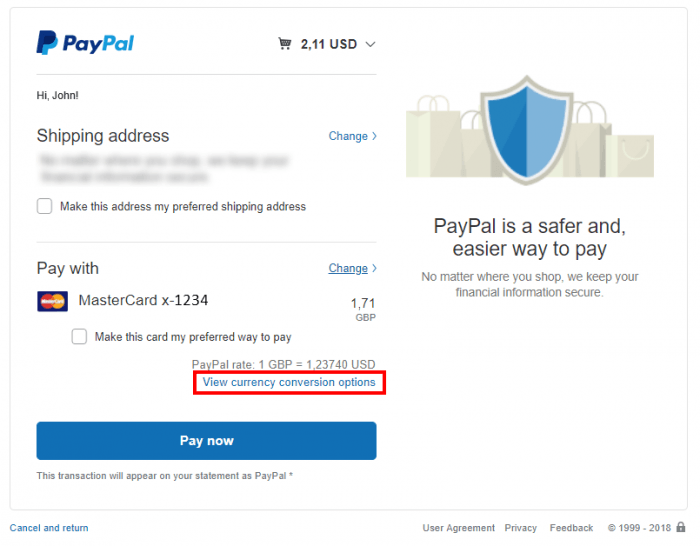 Good news is that Paypal allows you to transfer currency exchange to your card issuer. 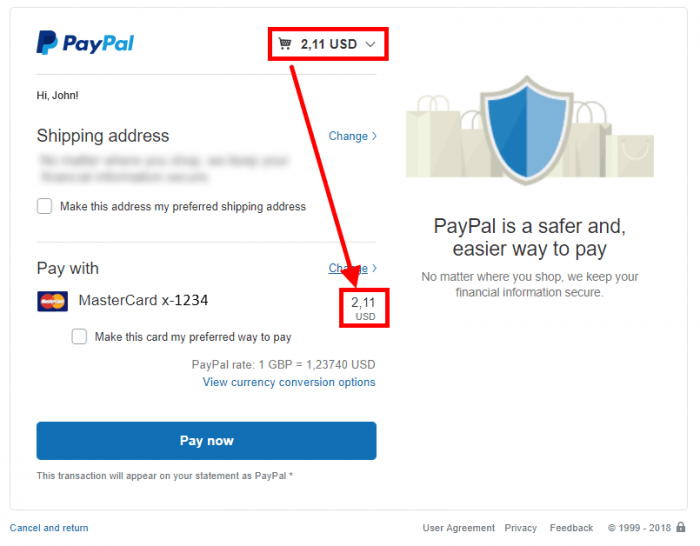 In steps below, I will show you how to pay 2.11 USD for an item using GBP credit card attached to PayPal using card issuers conversion rate instead PayPal’s. Remember that this change is only for current transaction. Next time PayPal will again use its own exchange rate. 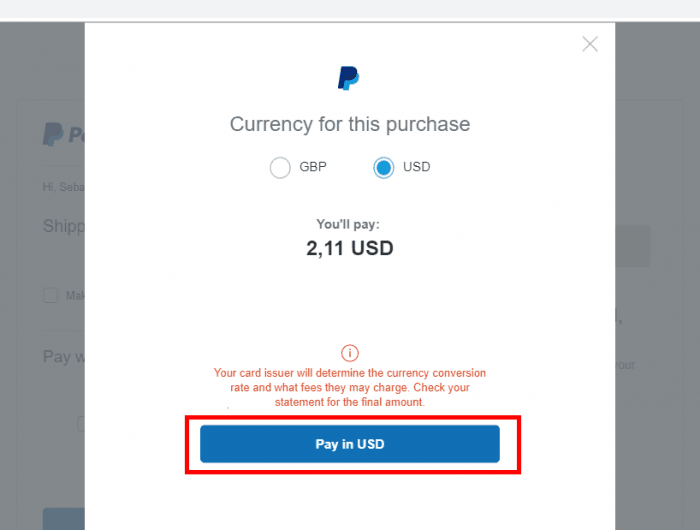 Verify currency and exchange rate used by PayPal. Verify that the currency has changed.